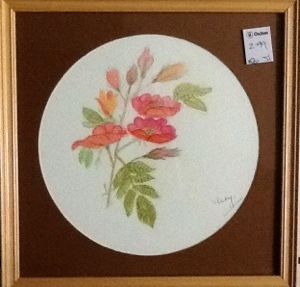 I believe this lovely little drawing, using coloured pencils, is of dog roses. It is signed by Mary. It is well mounted and framed and either Mary loved it very much or she gave it to someone else who loved it too. Sadly it did not find a new home in Chipping Norton but I think that is because it is so dainty and sweet it didn’t stand out enough amongst the other paintings. We will have to remember that next time we have a stall! 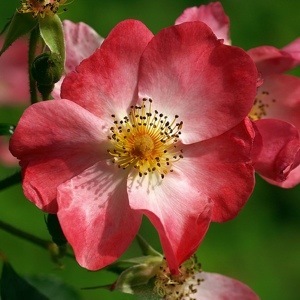 One other interesting fact: The Dog Rose is the national flower of Romania. I bet you didn’t know that!